Inspired by the Brompton Junction store located in Amsterdam’s 9 Straatjes, S2L Nine Streets Edition sports the never before seen, special fade finish. The effect is a 2-tone fusion of Red and Blue lacquer which is created using a manual process that leaves a unique finish on each bike, meaning no 2 bikes are the same. Brand new Nine Streets bikes are handcrafted in London. The bike comes with an ideal city specification, including Shimano dynamo, black edition, reflective decal. The S2L model incorporates a S-Type handlebar for a fast-sporty ride position. With the practicality of 6 gears it is more than capable of covering greater distances and even tackling hillier routes. And, integrated mudguards keep you protected from spray even in wet conditions. 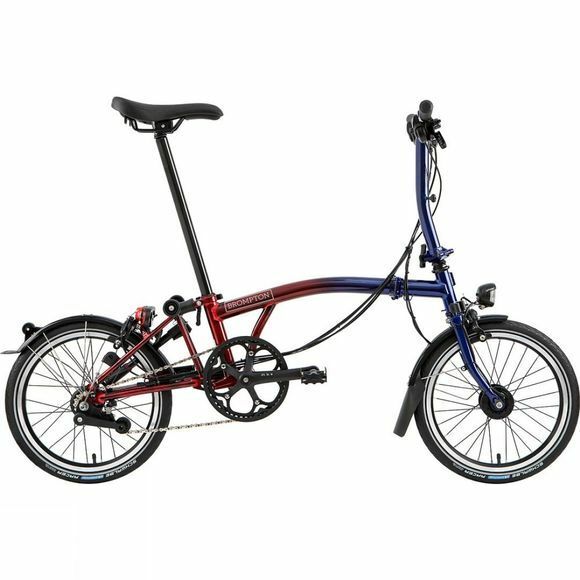 This sleek urban bike still encompasses all the usual features we have come to love from Brompton. It folds fast and easily into a compact package, so compact in fact that it is allowed on most public transport, even during peak times. Perfect for getting you around the city with style. The first Brompton bike was built in 1975 from the South Kensington bedroom of designer Andrew Ritchie. His initial prototypes were crude, but through a relentless refining process Ritchie hit upon a cycle that would go on to become the gold standard of folding bikes. In recent years, the company has seen rapid expansion worldwide, and now has stores in cities including London, Amsterdam, Beijing, Tokyo and Barcelona. But not content to rest on their laurels, Brompton has a large team of in-house designers and engineers who are constantly developing new accessories and improving upon the design of the bike itself. Every Brompton is handmade in their London factory by skilled craftsman who have undergone an intensive 18-month training program, and who each have a unique signature which they stamp on the parts of the bike they work on. This culture of accountability is indicative of Brompton’s commitment to quality, and helps to ensure that every one of their bikes is built to the highest standard. Offer 1: Get a free Brompton Front Carrier Block worth £15 when you buy a Brompton Bag. Offer 2: Get 20% off a Brompton Bag and a free Brompton Front Carrier Block with any Brompton Bike purchase. Want to try before you buy? 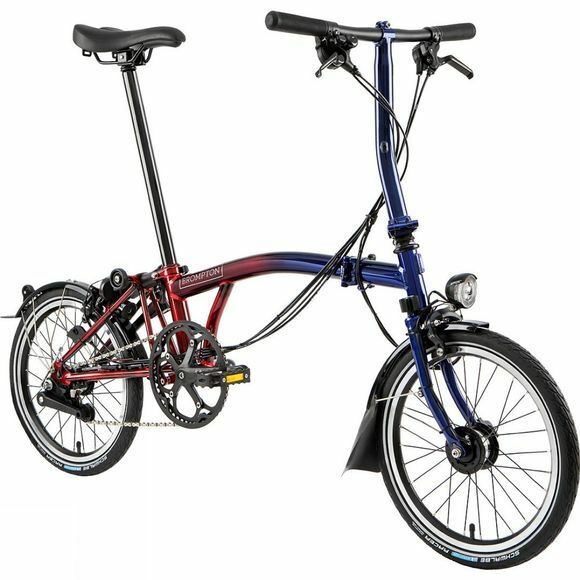 Pop into one of our stores and ask to try one of our demo Bromptons. The demo bike must be purchased in full and is refunded on the return of the bike.